The base is a standing chipboard frame (BoBunny) that I covered with white gesso, then painted with Amber (from the Rust texture set). Do you remember the flower tutorial I made a while ago ? 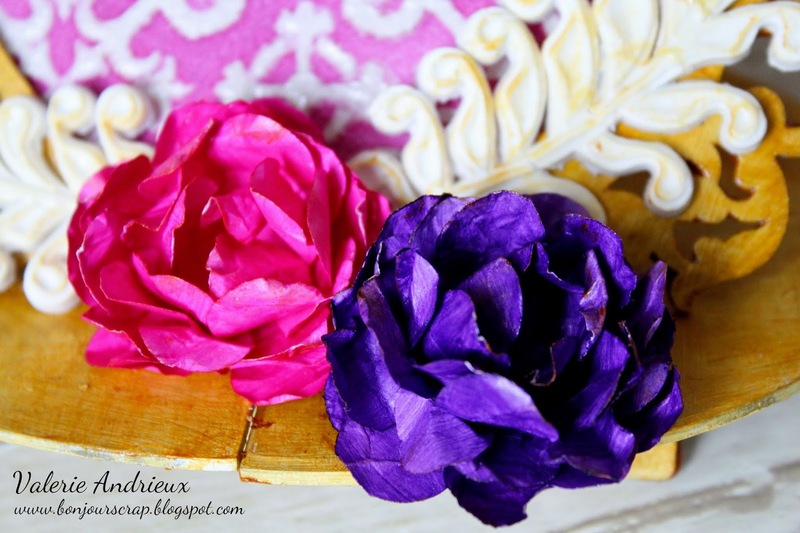 I create roses with punches, but as you see in this project, you could make petunias too ! 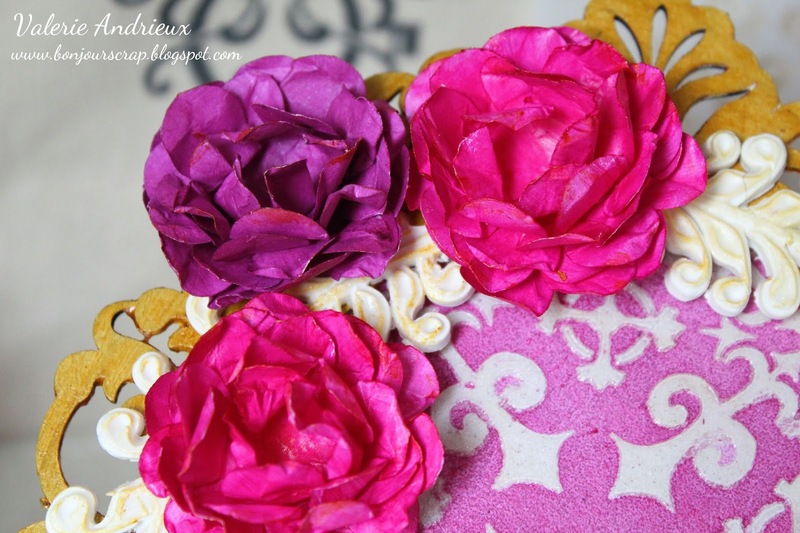 Take a look at the previous tutorial to make roses here. You will see how to make the petunias in the video of this frame project at the end of this post. I use three different colors for the flowers : Azalea Shine, Grape Shine and Dragon Fruit Velvet mediums by Art Anthology. 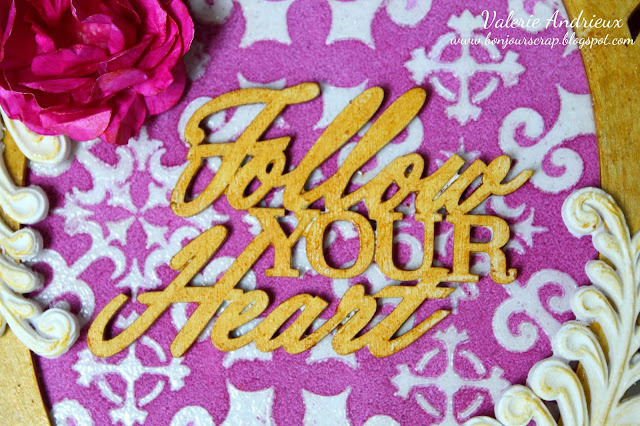 The pink background was create with Bone Stone Effect medium, the Gothic stencil with gel medium and the Patience Colorations spray. 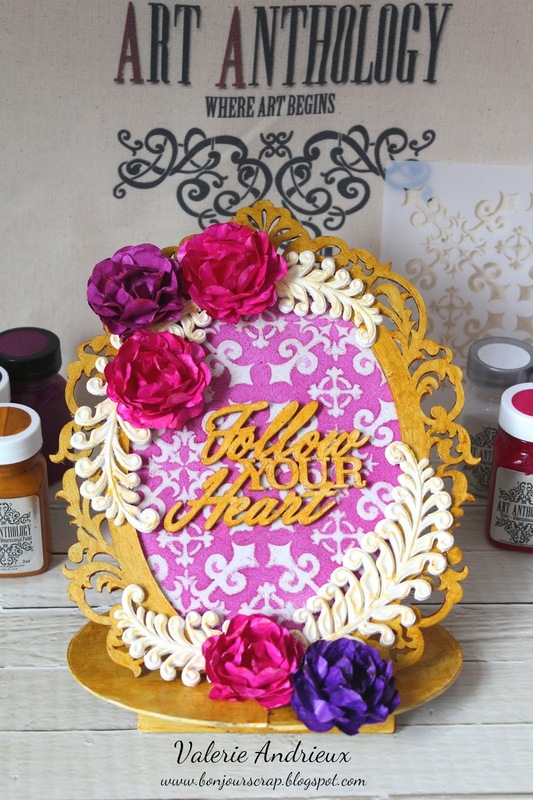 Can you see the rich texture and dimensions this combo create ? I added only few embellishments to this project beside the flowers : some clay ferns and a wood title, colored with Amber. Thank you for stopping by today, I hope you enjoyed this new project !